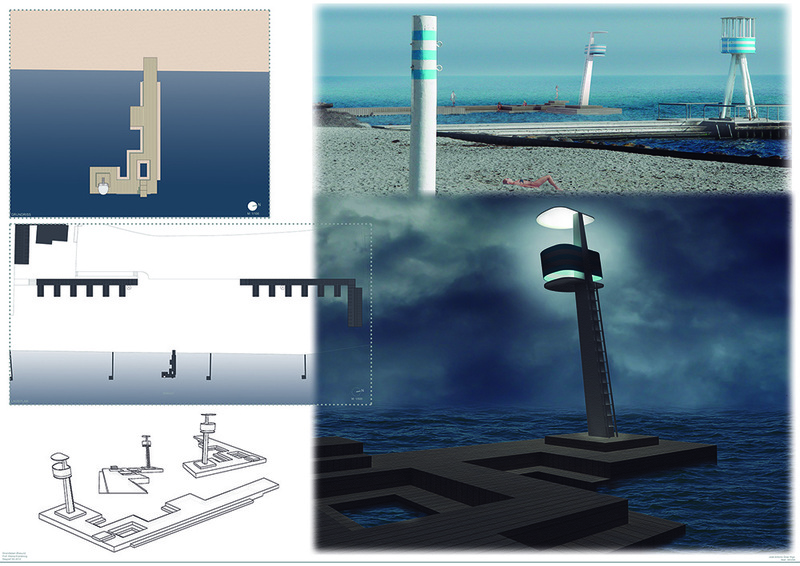 The project involves the creation of a guard tower and a bathing platform on a beach 15 km north of Copenha﻿gen. Is chosen to respect the existing environment, where there are a few guard towers designed by Danish architect Arne Jacobsen. The design of the new tower keeps relations with the towers of Jacbosen, however, it has got a lighter design and an inclination that gives the sensation of rush towards the horizon. The material of the new tower is stainless steel. The bathing platform is designed to remain there, with rest and relaxation areas to bathing without waves and no sea current. It also has got a trampoline. In short, there has been an evolution of design and debugging of Jacbosen design and a bathing platform to harbor people, not just passing through.